Look, if you've been successful, you didn't get there on your own... If you were successful, somebody along the line gave you some help. There was a great teacher somewhere in your life. Somebody helped to create this unbelievable American system that we have that allowed you to thrive. Somebody invested in roads and bridges. If you've got a business—you didn't build that. Somebody else made that happen. I know Obama's "You didn't build that," speech inspired a lot of mockery when he said it, but it's true. Everything we accomplish as human beings, from building the pyramids to writing a novel, we do it as a team somewhere along the way, exchanging ideas, collaborating, and drawing on each other for reassurance and other emotional support. Even a writer who lives as a hermit with little outside interaction still draws from things they've learned from their teachers, things they've read, and people on which they base their characters. Most writers I know would have never considered a career as a writer without that one person who once said, "You should be a writer." The more successful projects utilizes more people. There is power in numbers. We bloggers are all internet wanderers, and our survival oftentimes depends on those who wander about with us. We usually have a tribe of bloggers who help inspire us to write better, who show us places to submit our writing, and who helps share our work. Then we usually also have a community of readers who follow our work and join in a conversation, oftentimes finding their way offline via the inspirations we find online. 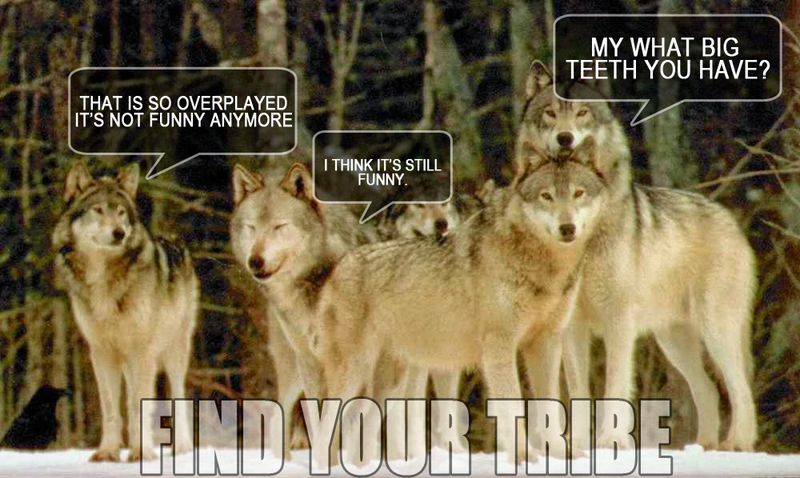 As a blogger, it's not always easy finding a tribe. Anyone will accept a message of, "You're awesome. I love your blog," with a thank you, but not very often will someone accept, "Will you review my book?" with a yes. You find the type of YES people by going to various online communities and connecting with a few who mesh well with you. These are places where I have found my current tribes. Finish the Sentence Friday is a blog hop of some of the most caring, talented individuals. We used to operate every Friday, but because a blog hop is time consuming and many people don't simply have the time for a weekly one, we try to post something once every other week. You join the Facebook group, check in time to time, free to ask questions if need be, and then post when we post if you desire to join us. The writing prompt starts a sentence, and you, the writer, finish it. Then we usually go live Thursday nights at 10 where we link-up on a host's blog, and then Friday, you go through and check out everyone's blog, commenting when possible, sharing your favorites. Karen from Baking in a Tornado also started several blog hops. She has 3 every month. You sign up every month via email, and then post on the scheduled days at 10AM with a link to the others (you can copy and paste from the email). Secret Subject Swap is where you get a writing prompt, like a question or what if, from someone else in the hop, and you also provide one for someone in the hop.Use your Words is where we exchange 4 to 6 words that we somehow fit into a post. Many in this hop have been writing fiction for this one. Then there's Fly on the Wall where you just basically show snippets of your life in the past month as if the reader is a fly on your wall, spying on your life. Of course, like any blog hop, after you post, it's assumed you are going to go through and read everyone's post and comment. The Publishing Bloggers Network is a Facebook group for those trying to self-publish books. While I am not currently writing a book, I like this group because people exchange a lot of ideas about marketing, blogging, and so forth, but also many people in the group are those who compile blog anthologies and they will advertise in the group when they are looking for submissions. I have met a wide range of personalities from this group, and honestly, the support from the people I've met in this group has really inspired a lot of my moving forward with things. The group has a continuous feed for you to link your social media and like social media on the list, an exchange of likes and shares. Frequently, they post something where you link to something current you are doing and go through and share some of the others in the list. I fell in love with the person handling this group by reading her blog. I suggest following her blog because the information she gives is just too good to pass up. Beyond your Blog focuses on getting published via submitting to places, whether it's NY Times or Scary Mom. She interviews a lot of the people who choose pieces to publish, giving inside information on what they are looking for in particular, and because many are podcasts, it provides you a taste of the personality deciding to take your work or not. Her Facebook group shares up to date submission opportunities while her blog shows a list of places who are always accepting work. 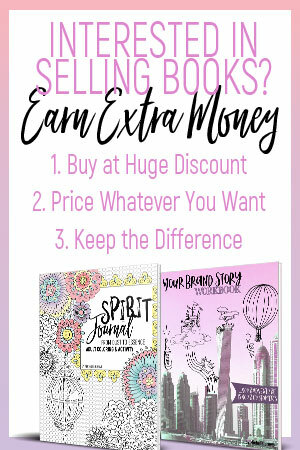 The SITS Girls have a blog that really delve into the art and business of blogging, and they are always accepting submissions to recycled blog posts (they usually provide a summary and link). Their facebook group has been a great place for me to find tech support from other bloggers and help troubleshoot blogging situations. This is not a group to promote anything you are doing. They have zero tolerance for shameless self promotion. Their blog has many great articles I found useful. Women of Midlife Boulevard is a facebook group and blog. They usually take submissions to their sites from those in their group. They too provide a place to share content in group comments for likes and shares in exchange for you going through those on the list liking and sharing. I'm new to this one, but the BLUNTmom Syndication Group a group where you can submit recycled posts for Blunt Moms to consider publishing on their website. Every Tuesday night at 9PM, writers get together on Twitter to discuss writing. They #writestuff all their posts. This is more creative writers who write fiction. They have a Google Plus community of writers where they share their creative work and gather advice. The place where I met many of the bloggers I keep seeing shared by people, many who are Huffpost contributors and doing big things, are in the Facebook groups for anthologies I'm in. Motherhood May Cause Drowsiness and Clash of the Couples have introduced me to some of the best bloggers on the web (outside of the ones I already knew of course), and they have been more like teachers to me. These are people who are apt to accept a facebook friend request just because you are going to be in a book together, and they respond well to questions in private message about, "How should I handle...?" and "Which design do you like better?" and "How do you think I could improve...?" This has been the best contribution anthologies have supplied my writing career, more important to me than adding it to my bio and getting paid a hundred bucks. Great list! I look forward to investigating all the tribes! I started out in Montessori in 1999 online, and I could not find a tribe (many Montessori sites back then--early 2000s) did not welcome Montessori homeschool or Montessori in the home, so I had to create my own tribe of like-minded moms, then came bloggers a few years later. What a great idea for a post! Everything is available now on the google platform. Like other searches we can find online website copier which will help us making website.